Neale Cohen is currently the General Manager of Diabetes Services at the Baker IDI Heart and Diabetes Institute in Melbourne. He is an endocrinologist in clinical practice for over 15 years at the International Diabetes Institute and now the Baker IDI and has extensive experience in diabetes services in both private and public systems. 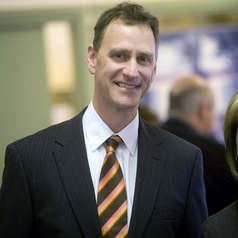 In his current position he is responsible for the management of the largest diabetes outpatient service in Australia. He is an adjunct associate professor at RMIT University.